Augmented reality, virtual reality, and mixed reality are terms being thrown around in technology circles. But what do the mean? How are they being used in the classroom? Jaime Donally talks about these technologies in simple language and helps us understand the classroom applications of them. www.coolcatteacher.com/e342 Sponsor: From now until September 28, Advancement Courses, an online provider of professional development for K-12 teachers, is donating 10% of their sales to funding DonorChoose.org projects. Go to advancementcourses.com/give to submit your project today. 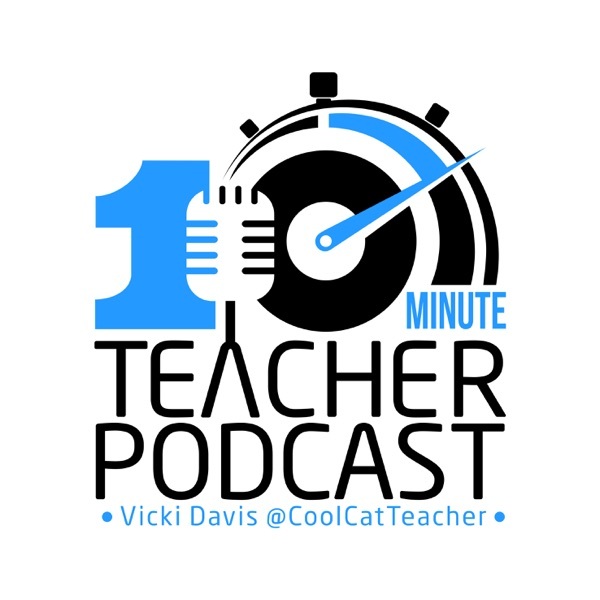 AND, if you are in need of PD, 10-Minute Teacher listeners get 20% off any online courses with code COOL20. With this coupon, a 3 grad credit course for continuing education, salary advancement, or recertification is only $359. So, go to advancementcourses.com/coolcat to learn more and use the coupon code COOL20. Never stop learning!